SmarTrack offer a range of GPS vehicle tracking products including stolen vehicle trackers for cars, commercials and plant machinery. All SmarTracks vehicle tracking products have been tested at Thatcham and are therefore Thatcham Accredited. All of SmarTracks products can be fitted on-site at your home, place of work or dealership by fully trained Thatcham installers. SmarTracks SCC (Secure Control Centre) provides 24 hour monitoring 365 day a year. So you can be assured that in the unfortunate event of your car being stolen SmarTrack will track your vehicle using the on board GPS tracker and liaise with the police to recover the stolen vehicle. This is the main vehicle tracker in the SmarTrack range and is ideal for cars and vans. By utilising GPS and GSM technology it has the ability to track vehicles in the UK and Europe. (European tracking at additional cost.) 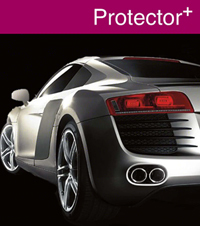 The SmarTrack Protector Pro Global car tracker not only provides excellent security for your vehicle, but by being one of the cheapest GPS/GSM 24 hour monitored tracking devices, and offers a duration UK subscription it is also excellent value. For more information on SmarTrack vehicle trackers you can contact us via our website or give us a call. Our expert engineers can come and fit trackers on location throughout England, or you can visit our branches in London and Surrey. The Global Telemetrics app is available for Apple and Android devices. This gives you the ability to view your vehicles location communicating with all SmarTrack tracking systems within the current product range. 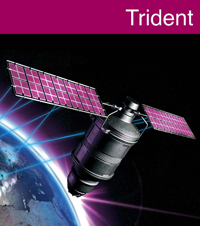 SmarTrack Trident has all the stolen vehicle tracking features of the protector+ but in addition it allows the end user to track their vehicles or assets through a web interface.